Sayers endeavour to provide a solution to solve any specialist coatings needs, from our large portfolio of manufacturer partners in the specialist coatings sector we can offer a solution for your project. Sayers established there dedicated specialist coatings division some 5 years ago to service the increasing diversified projects many of our industrial market customers were facing. Utilising our conveniently based location in the centre of England we are well equiped to service the UK. The Specialist coating division of the business has a full range of technologies available to meet your needs. 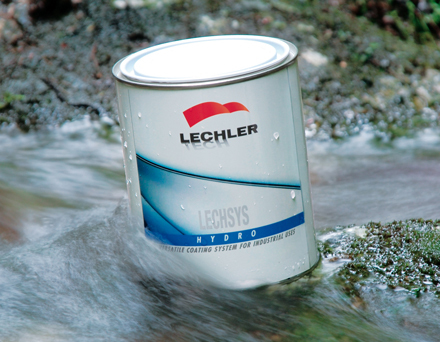 Our coating partner Lechler offer solvent based and waterbased platforms both in 1K and 2K technology. With over 15,000 colours already formulated the colour offer is the best industrial palette on the market ranging from solid through to metallic, pearl, xirallic and with a range of effects also available, soft touch, texture, spatter, matt, gloss, glass flake for example. These can all be applied over a huge variety of substrates – glass, metal (ferrous and non-ferrous), wood, plastics and in many cases a process efficient system without the need for a primer. Additional coating effects available are true metal finishes that can be easily patinated to give an aged look. A dedicated range for wood from IVE to give durable and decorative effects. Verometal – liquid metal paint. IVE – wood coatings for habitat. Marine coatings – full range of products for internal & external marine applications. Bespoke coatings – unique finishes for the architectural design industry. Zinga – environmentally safe cathodic protection to steel.